You can’t go wrong with apples, especially in desserts. Be the family favorite when you whip up some of these fantastic apple dessert recipes. 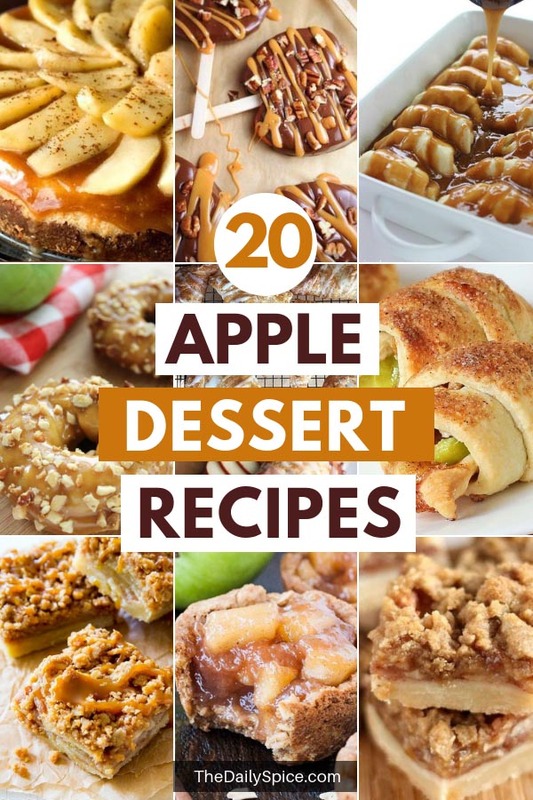 Check out these amazingly delicious apple dessert recipes. To view the full recipe please click on the link below each image. Dutch Apple Bread made from scratch with butter, sugar & fresh apple. Tastes amazing topped with a cinnamon streusel & drizzled with warm vanilla glaze. Chocolate Turtle Apple Slices are thick slices of Fuji apples covered in melted chocolate, drizzled with caramel and topped with nuts. The best apple turnover you will ever have. Made with a buttery, flaky puff pastry shell that’s filled a sweet, tart apple & cinnamon filling and glazed with a cream cheese icing. This Cinnamon Apple Oatmeal Cookies recipe is one of my favourite fall desserts. 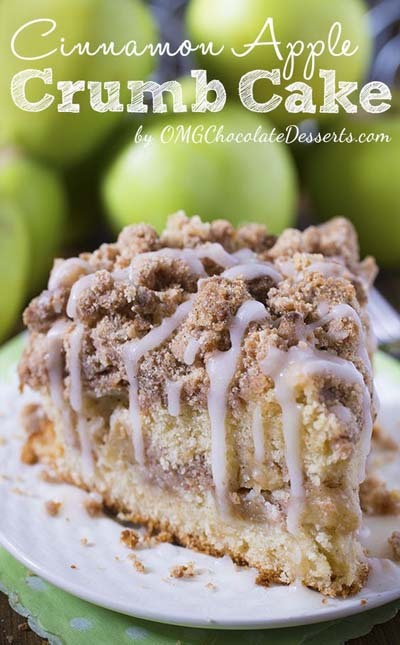 This Apple Crisp Shortbread Bars Recipe is one you’ll want to keep!! All of my shortbread loving friends will understand when they taste the apple. As you can tell, folks RAVE over this bundt cake recipe! Big chunks of apples nestled into a cinnamon spice cake batter and covered in glorious homemade caramel sauce. Not only is it delicious, but this Apple Bundt Cake Recipe is perfect for creating new memories! Appledoodles are a fun twist on the classic snickerdoodles! Great way to use up apples in the fall! This cake is perfect served warm or even at room temperature. I’m planning to make it again the first chance I get. Enjoy! This is my favorite cake, I have tried many apple cakes over the years and this is a winner!! So moist and dense, with a caramel taste, cannot say enough, just try it and see. Apple Dump Cake is a 4-ingredient recipe that results in a delicious fall dessert that’s a cross between apple cake and apple crisp! These Caramel Apple Taquitos are a fun fall dessert full of apple and caramel! This super Easy Apple Dumplings recipe happens to be one of my favorite year round desserts. Since the recipe uses store bought crescent rolls, it comes together quite easily. You will find Mountain Dew as a secret ingredient. The soda adds some additional sugar to the recipe and allows them to bake perfectly. You must try this coffee cake loaded with apples and crunchy brown sugar-cinnamon streusel crumbs, drizzled with apple cider glaze. These Caramel Apple Baked Donuts are a perfect fall dessert with a fun spin on the classic caramel apple! Do you love desserts with crescent rolls ? Then try this easy Apple Pie Bites made with crescent rolls, apples and pecans. Pin these Apple Dessert Recipes for later! Don’t have time to make any of these adventurous apple dessert recipes? Then pin it to your desserts board on Pinterest so you can come back to it later!